Glo TGIF data plan has been in existence for some time but was just officially lunched by globacom. Glo TGIF is a weekend data plan that offers low cost data to its customers to brows, download, stream videos and lots more. According to Glo, "Glo TGIF data plan offers you 3GB for N500" and "1GB for N200 Naira" usable only on weekends. “This unbeatable offer will be available to Glo customers from 12:01 am on Saturdays to 11:59pm on Sundays. 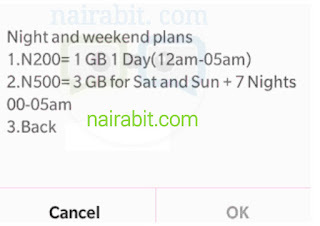 • The N500 for 3GB is for weekend (weekend plan) plus extra 7days. Works day and night on weekends, but can only be used between 12midnite and 5am everyday within the extra 7 days period. 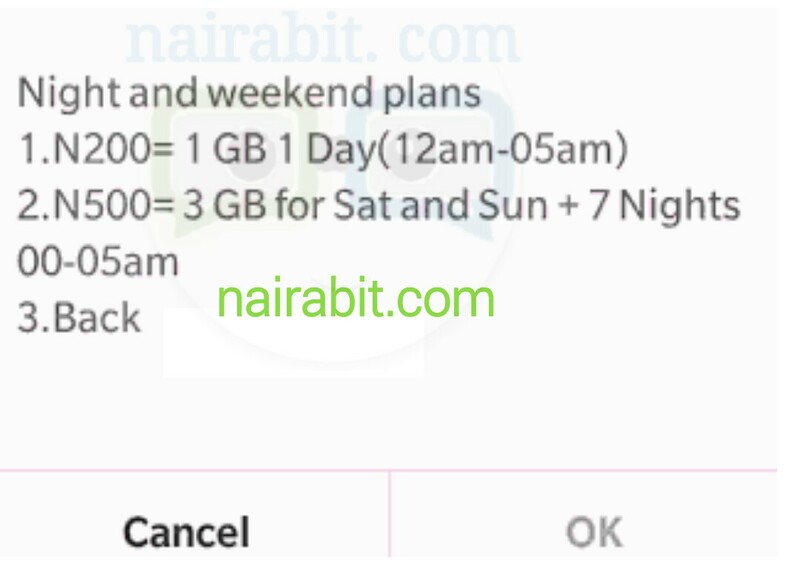 • The N200 for 1GB is just for one night (night plan)between 12 midnight and 5am any day of the week. • Next, select option 2 which reads “N500 = 3GB for Sat and Sun." Its clear Glo are out to satisfy its subscribers especially when there are stiff competition from MTN and Airtel, they currently have good data plan but their only setback is its poor browsing network coverage in most places. Etisalat has been on the sideline, they are currently the only network without weekend plans. Please the Arab money network should do something fast and not look like spectators in the game. I use to subscribe to Airtel night plan of 500MB for just 25 naira but NEPA changed the schedule for light and we no longer have have light from midnight till 5am (the exact time for night browsing). So I have to change to this weekend plan (which cost a little more than am used to but 20% of something is better than 100% of nothing).